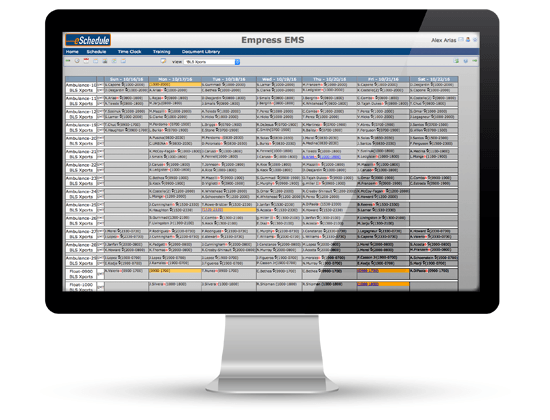 The heart of eSchedule centers around the scheduling module. Tightly integrated with other features, the schedule is the core piece that allows you to place your agency’s schedule online in a secure, centralized location. No more paper or Excel schedules! Improve shift coverage by giving everyone 24/7 access to the schedule. Add employees to the schedule quickly & easily (yes, including rotations!). Reduce overtime costs and so much more. Wondering if eSchedule has a particular feature? Click here to send us a quick message and we’ll e-mail you back! Getting started is easy. Let’s do it! eSchedule is chock full of features to help improve and organize your agency. Powerful messaging, Events Calendar, Document Library, Vehicle Maintenance, Online Forms, Equipment Tracking and so much more! We will contact you by phone. But don't worry—we only want to answer any questions you may have! How many users would need access to eSchedule? Can you give us a bit more detail? Please fill out the form below to ask us a question about our features.